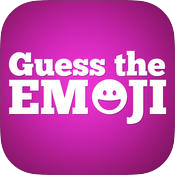 Guess The Emoji will entertain you for hours! Our new kid and family friendly game tests your logic and reasoning skills to solve simple (and sometimes hard!) Emoji Puzzles! You'll be presented with a screen displaying some emojis - what is it that these emoticons are describing?! Can you guess them all?